Hailing from the Lean Startup Machine, The Validation Board is a deceptively simple, free tool for testing out your latest startup and product ideas. The board is based on Eric Ries’s Lean Startup methodology, and according to LSM, it was developed by studying the processes of over 500 startups. It’s no secret that most startup ideas could use a bit of polish (at the very least), and so any new tool that helps evolve a young company’s purpose into something just a bit more fool-proof is worth checking out. According to Grace Ng, the VP of Design at LSM, the project’s goal was to “help entrepreneurs all over the world get out of the building and talk to customers.” Ng explains that “so many products fail because they aren’t solving a problem that customers care enough about.” That right there, understanding consumer need, is the difference between helping people with a useful product and a redundant flop. As you’d expect, the Validation Board essentialy helps startups implement Lean Startup practices into their everyday processes. 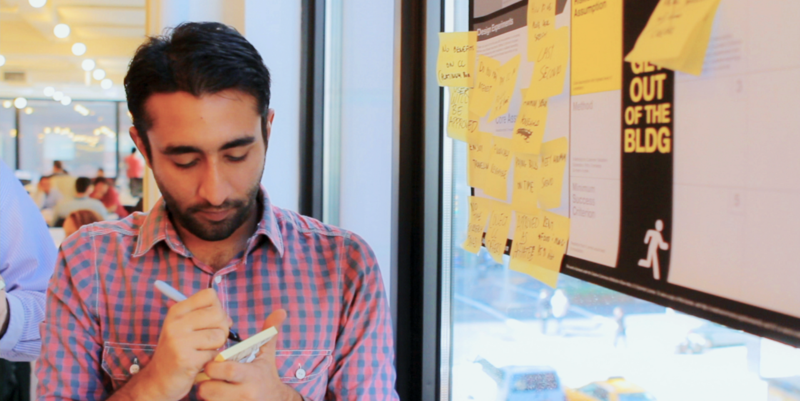 It’s not an instant ticket to success, but it’ll help entrepreneurs validate their best ideas. If this is something that piques your interest, visit the link below to download the free board (also available as a Google Docs template), or snag a giant printable version for $4.